Downtown Chattanooga, Tennessee, is a seriously awesome place. I fell in love with it when I was young and my dad would drive the hour it took to get us there so we could eat at the Chattanooga Choo-Choo and then wander around the top of Lookout Mountain. Luckily, my middle brother and his family live there, so we still get to visit lots. And it’s still one of my favorite places. Chattanooga has done a stellar job of downtown renaissance and making itself into A Must-See Destination. Such as this Broad Street block that’s just up the street from the Tennessee River and the Tennessee Aquarium. This block is home to Sticky Fingers Smokehouse, the barbecue restaurant-chain that three friends who first met as seventh-graders in Chattanooga started in 1992 in Charleston, S.C. My brother and I were there to pick up wings, pulled chicken and pulled pork for my nephew’s 12-year-old birthday party, and I have to say that Sticky Fingers’ wings rate right up there — meaty, juicy and just-right-hot. I can see why my nephew requested Sticky Fingers for his birthday. (I think I’ll do the same, even though that means moving my birthday to a city four hours away. Worth it.) Another treasure on this block is Greyfriar’s Coffee and Tea Co., one of my brother’s top choices for coffee — and he knows coffee. And of course there’s more to Chattanooga than wings and coffee. You’ve got history, hiking, rock climbing, kayaking, shopping, music, art, more eating and more good times. Go check it out, and tell my brother I sent you. This entry was posted in family, food, shopping, Tennessee, travel and tagged barbecue, Chattanooga Tennessee, coffee, downtown renovation, downtowns, Lookout Mountain, Sticky Fingers, Tennessee, Tennessee Aquarium, Tennessee River, travel, weekend getaways by Coffee with Cathy. Bookmark the permalink. I eat at Sticky Fingers every time I go to Chat choo choo. They are the best. I’ve been buying their sauce at Food World or have they changed the name again? Oooo I love Sticky Fingers!! Was just there this past week-end. My favorite spot is the Bluff Art District great views, great places to eat and stay. But sadly they have closed the bocce ball court to the public!! 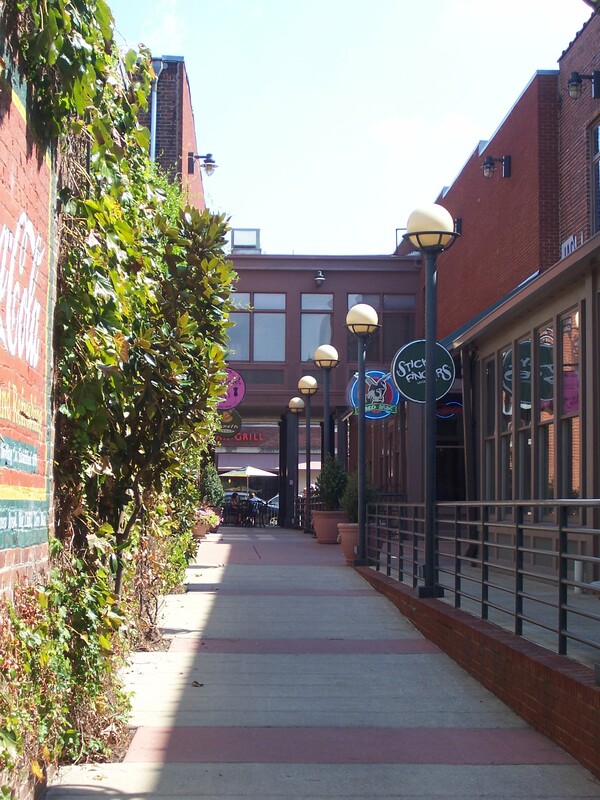 Cheryl — I think Chattanooga is the perfect girls’ getaway weekend! Sounds like you could point us to all the real cool places.